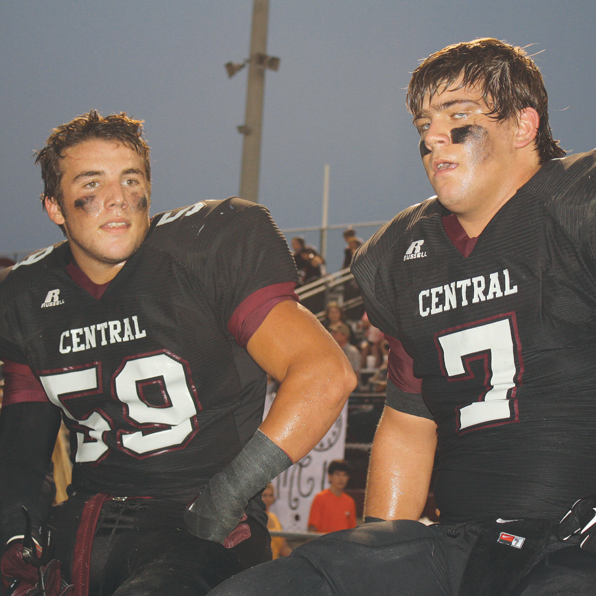 CENTRAL — The Central High Wildcats defeated Catholic 31-23 in a hotly-contested match at Wildcat Stadium last Friday. Now the Wildcats (4-0, ranked No. 12) face their toughest opponent yet — the St. Amant Gators (4-0) at The Pit. Catholic plays Parkview, the No. 1 team in state 3A Friday night at Olympia. St. Amant is ranked No. 13 in the state and could prove to be quite a challenge. Central’s victory over Catholic was the 5th straight. Catholic still leads the series 41-6-1. Before the Sid Edwards’ era began, Catholic led 40-1-1. Central took an early 17-0 lead before Catholic answered with a 95-yard kickoff return that gave them new life. • Dalton Holdman, DE who had an outstanding game. • Defensive front, which played well. • Defensive secondary Sean Parker and Kevin Henry, who had good games. • The offense, which had a complete team effort. • Devon Gales, WR who contributed some outstanding blocks. • Offensive line, although smaller than Catholic, which outfought the Bears. • Gary Triplett, WR just back from a sprained ankle, who was at 70 percent of his normal effectiveness, but that was still enough to make a major contribution. • Brett Courville, who was 14 for 18 and gained tough yards on the ground when it was needed. He conducts the orchestra. • Lamonte Janeau, RB, who had another tremendous game. He ran with an attitude and keeps getting stronger. • A stable of capable running backs who were waiting to step in when their number was called. • Kicker Greg Noel, who does a fine job punting and kicking.